Anyone who knows me will know that I love a good night out, however, sometimes you need those nights where you can just chill, watch tv and relax after a busy day especially in the Winter when it's so cold outside. Here are my top tips for the perfect night in. Before I start a relaxing night in, I always get into some comfortable clothes or my PJs and get cosy for my chilled night. I like to remove all my make up and let my skin breathe. I then use a face mask to help cleanse my skin, I'm still loving Body Shop's Warming Mineral Mask as mentioned in a previous post. I apply this generously to my face and leave it on for around five to ten minutes whilst I prepare for the rest of my night. I absolutely love candles, especially in the winter as they make a room so warm and cosy. I always light a few candles, especially scented ones and put my fairy lights on to create the perfect atmosphere for my chilled evening. On a normal evening I like to drink green tea as it's full of antioxidants and helps to hydrate me, but when I'm planning a night dedicated to chilling, I treat myself to a hot chocolate, because who doesn't like a hot chocolate on a cold winters night? A chilled night in wouldn't be complete without a film or TV series to watch. I'm still absolutely loving 'Orange Is The New Black' and now that 'Revenge' is back, I have plenty to choose from for my relaxed night in. 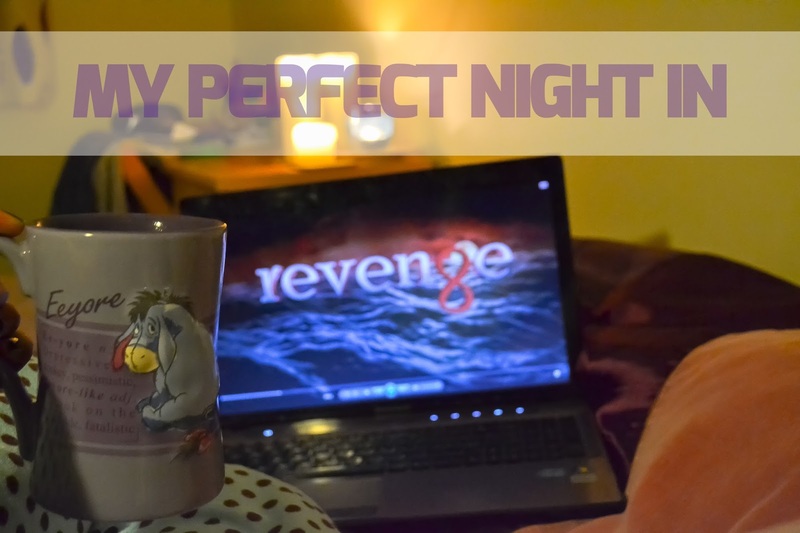 What is your perfect night in? Let me know in the comments below.